Dortmund - On paper Borussia Dortmund's fixture at home to Eintracht Frankfurt on Saturday afternoon (kick-off 18:30 CET) - defending champions against promoted wannabes - appears to be a foregone conclusion. But the reality is quite different. Frankfurt trail second-placed Dortmund by just two places and two points and have every right to expect a positive result on the back of their performances so far this term. All the more so after Dortmund's air of invincibility was crushed in last week's 4-1 demolition by Hamburger SV at the Signal-Iduna Park. Wednesday night's 2-2 UEFA Champions League draw against Shakhtar Donetsk in far-away Ukraine will have further drained the titleholders, who will have had just 52 hours to prepare for Saturday evening's top match. Adding to the defending champions' woes is the fact that top scorer Robert Lewandowski will miss out as he begins the first of a three-game suspension following his sending-off last week. Coach Jürgen Klopp claims to have "several solutions in mind", with Julian Schieber and Marco Reus the likeliest candidates to start up top. Yet even such a star-studded frontline is unlikely to intimidate the visitors, who boast an impressive array of offensive talent themselves. 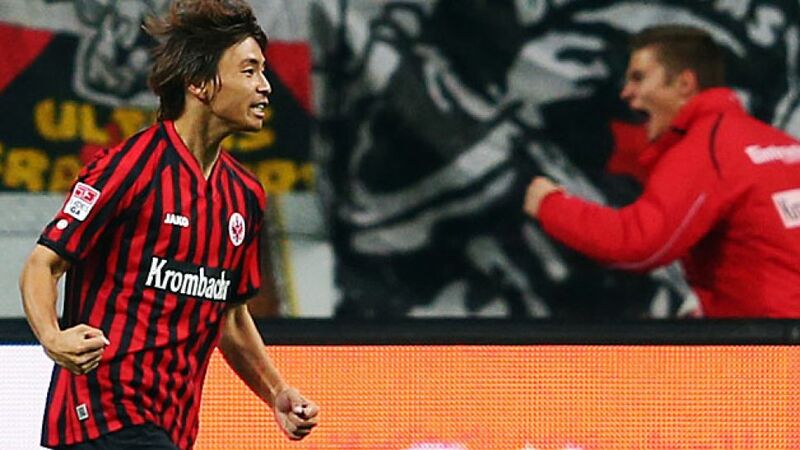 Alexander Meier has rattled in twelve goals so far, while Takashi Inui is Eintracht's chief creator with four assists and five goals. Add impressive January loan signing Srdjan Lakic into the equation and it's clear to see the Eagles' high-flying position is no fluke. As if such a wealth of top-class stars were not enough, the game itself promises to be an end-to-end thriller between two sides with similar philosophies. "It's no secret that I'm a fan of Dortmund's style of play," said Frankfurt head coach Armin Veh. "You could say that BVB are our big brothers in that respect." Given that the reverse fixture on Matchday 5 finished 3-3, everything is in in place for another Bundesliga belter. Click here to find broadcasters for this match in your territory.